"Like" token, awarded by MBinder_WMF. Expected: The clear icon (top right) should be aligned (vertically) in the middle of the search form. 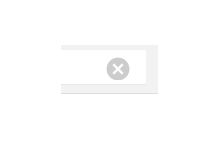 Jdlrobson added a parent task: T138286: "Refreshed" search bar moves up 1px when clicked. Jdlrobson added projects: Regression, Reading-Web-Sprint-76-Retrosprekfast. Jdlrobson added a subscriber: dr0ptp4kt. @dr0ptp4kt I've removed the devices to test on since this is a regression from T138286 which lists those already. Jdlrobson moved this task from -1 (Needs More Work) to Code Review on the Reading-Web-Sprint-76-Retrosprekfast board. N.B. that I couldn't +2 this even if I wanted to as I don't have access to a Windows Phone 8.1 emulator. Who has a BrowserStack account? @phuedx, I do. I'll forward my credentials to your email. Jhernandez moved this task from To Triage to 2016-17 Q1 on the Readers-Web-Backlog board. phuedx removed Jdlrobson as the assignee of this task. 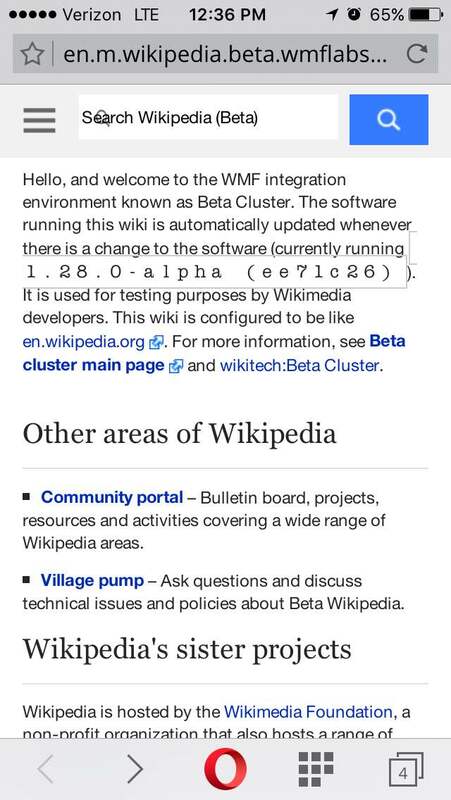 It's unclear to me if it's this patch or if it's another patch, but en.m.wikipedia.beta.wmflabs.org now has a couple of oddities. 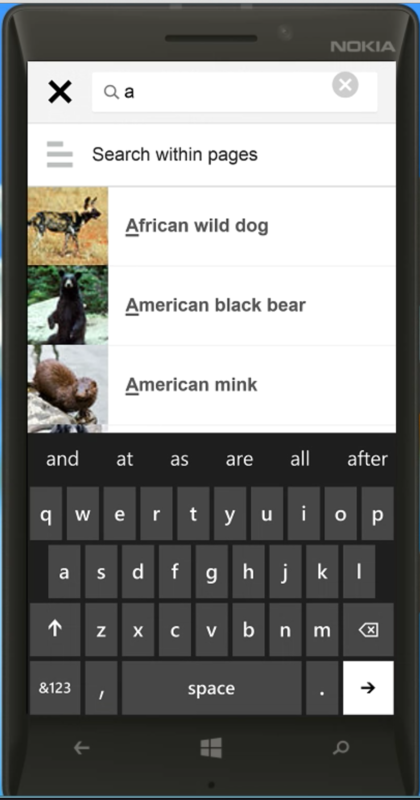 In Opera Mini, prior to entering the search bar at all, the magnifying glass is now appearing (good), but it's mashed into the placeholder text (similar to how the search results page was showing up). 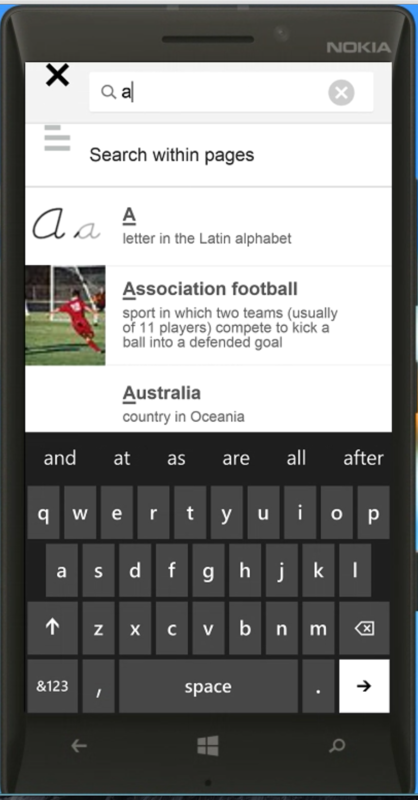 On Windows Phone 7.5 IE, the magnifying glass is now appearing (good), but it's squished. That's both prior to search and while in the midst of searching. I created T140487 as it came up on another patchset review. Can you confirm that Windows 7 phone runs IE9? According to a website that reflects the UA, that phone runs IEMobile/9.0, yes. I also created T140504: Windows Phone 7.5 Search UX Issues and T140490: Search magnifying glass and placeholder text mashed together in Opera Mini extreme mode (all resolutions). @dr0ptp4kt this needs story points. Who did the task? @MBinder_WMF this was a regression based on the planned sprint work of the pointed T138286 thus it shouldn't be pointed.